In 1941 the threat of war became imminent for the United States. 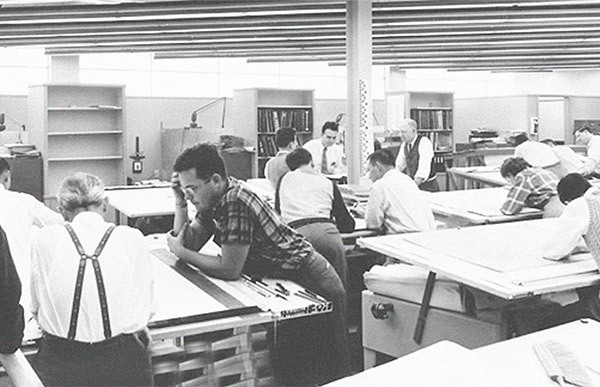 Prior to this period, most engineers and architects practiced in small independent firms. However, three Florida professionals, engineers George B. Hills and John F. Reynolds, and architect Ivan H. Smith, reasoned that in order to most effectively mobilize a country, a single organization with the ability to combine comprehensive architectural and engineering capabilities would be more efficient than a variety of smaller engineering and architectural firms. Thus, the three formed RS&H based in Jacksonville, Florida, and remained committed to creating innovative solutions to the world’s infrastructure problems. The firm initially focused on military projects. Among the many were designs for aviation support facilities at the Banana River Naval Station in 1942, which later became Cape Canaveral Air Force Base and Patrick Air Force Base. As the war drew to a close, RS&H continued to grow with new offices opening throughout the Southeast. With less of a demand for state issued projects, the company branched out and designed projects such as power plants, airports, and industrial facilities. In the 1960s, RS&H was selected to design launch facilities to support NASA’s manned spaceflight program and Air Force missile programs. Over the next 20 years, RS&H added subsidiaries and affiliates, all the while increasing its staff and opening new offices across the United States and abroad. 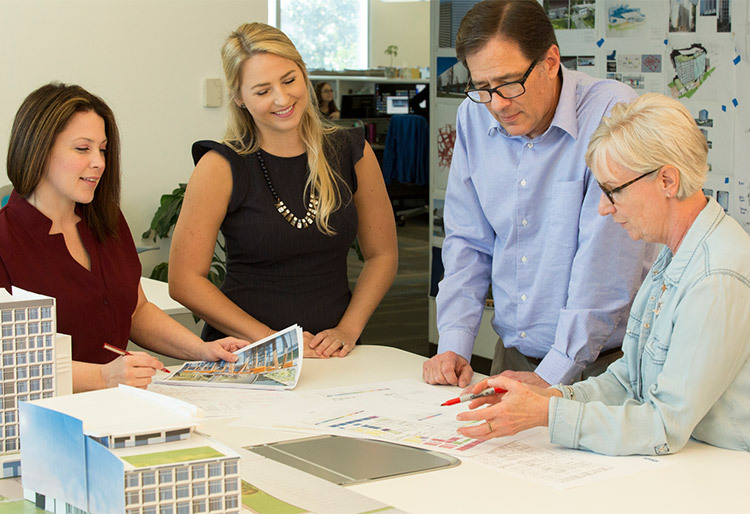 RS&H’s services expanded to include architecture, engineering, planning, landscape architecture, land surveying, construction, environmental sciences, interior design, real estate, and management/economic consulting. After being purchased by Hunter Environmental Services Inc. in 1987, RS&H led an effort to arrange the acquisition of the company by our associates. The employee buyout was completed on June 28, 1990, thus positioning the new RS&H to utilize its long-established expertise and reputation to meet the needs of its clients. Our rich history has become an irreplaceable asset to the company. While our size has changed over the decades, the commitment that George B. Hills, John F. Reynolds, and Ivan H. Smith established in 1941 to provide responsive and quality service to produce cutting-edge results for our clients has remained at the core of RS&H. You’ll find challenging and rewarding opportunities at RS&H in our careers center. Join RS&H and become part of a team working on building a better tomorrow.